That's great, Trip. Love the concept, the background and text shades, the composition, and the way the figure is in front of the black border. This is just my first response, a reaction based on my own "style," and not meant to be a criticism. I like the way the "aqua" text gets brighter toward the bottom and I'm wondering if the figure might look a little better with an "aqua" outer glow, with a value roughly equal to that of the text where it intersects the figure. I think the figure would "pop out" from the blue background (and the border) better, and maybe "unify" the whole image and the text might "flow" into the figure better, as well. Thanks so much, my friend, dencorso. That means a lot to me. You have always been there for me, in so many ways, and I do so appreciate it. Happy new year to you, as well !!! larryb123456 replied to larryb123456's topic in Introduce Yourself! 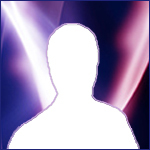 larryb123456 posted a topic in Introduce Yourself! Thank you, jaclaz, for your input and your K9 machine gun. But don't you realize that your statement, "Your argument is invalid", invalidates your argument that "Your argument is invalid" ??? @jaclaz, The Finder: Firstly, I sincerly hope you find an acceptable avatar for yourself. Secondly, I do so appreciate your feeble attempt at elucidation and the irrelevant image in your spoiler. I see you came with your humor gun loaded to respond to my heartfelt, passionate, and very sincere introduction of myself. The proof is found in this picture of you taken this afternoon, in Italy, by the anonymous photographer, A. Nonymous: Finally, the world sees how you waste your life, immersed in frivilous play, while posting pseudo-intellectual nonsensical gibberish on MSFN, a charge of which I will never be accused. I understand the sentiment in your spoiler, "Old pros studied their way to the top", but I more so strongly feel that, possibly, my apropos previously posted precarious prose poses possibilities preempting practical professionalism, possibly. How do I move a Photoshop layer 1/2 pixel? Thanks, everyone, for your input. @Tripredacus: I wanted to try to make my YouTube channel cover art as they directed, if possible, rather than take matters into my own hands and come up with all kinds of other approximations. Those approximations, really deviations, were to be as a last resort. I take it that you were unable to exactly center my 51px tall red rectangle in the 200px tall gray square, as you said you could do in your post describing a positioning feature of Fireworks. Is that correct? Or maybe you didn't want to take the time, about 3 minutes or so, to do as I asked when I said: "Can you do the above scenario for the original JPEG above and post your result here? (It will post at the correct size, since it's small.) Thanks! ", which is at the bottom of that post, in between the two dashed horizontal lines. If at all possible, I'd like for you to do what you can, the best you can, and post the result so that I can see the capabilities of Fireworks, in case I ever run into this situation again and might want to purchase Fireworks. But, of course, as you well know, you don't have to do it just because I asked you. @dencorso: Thanks, again my friend! You always have a knack for getting down to the real nitty gritty. If I make the central rectangle in my YouTube channel cover art 2560x422px, instead of 2560x423 as they recommend, and center it 509px above and below as you suggest, then the non-TV YouTube channel watchers will see a 1/2 pixel dark border at the top and bottom of the central region on their devices. Am I correct in my thinking here? A little dark border at the top and bottom might even improve the graphic. If I have no other alternative, I'll employ your suggestion. Thanks again!